It is almost a week after the exciting WordCamp Sofia 2012 event. However I have one more interview with one of the speakers on the event to publish – the interview with Hristo Pandjarov. His presentation on the event was named “WordPress, Football and a bit eCommerce”. Now let’s see his thoughts about WordPress and the event. 1. Please tell us with a few words who you are and what you do? Right now I am working at SiteGround web hosting and I am in charge of the additional resources we provide to our customers. That includes making free templates, writing tutorials and helping people if they need assistance with our free resources. In addition, I try to participate as often as possible in the WordPress forums and I am happy that SiteGround allows me to spend some of my working time doing this. 2. When and how you first found WordPress? I first discovered WordPress when I started working for SiteGround as a supporter back in 2008. We have many customers that use the application for their sites and I gradually gathered a lot of knowledge while helping different people solve their problems. Then I made few websites based on WordPress for friends of mine and few personal ones which I keep on developing since then. 3. Do you remember the first site that you build with WordPress? How does it changed your work? Yes, it was a history-related site that I started with two of my friends. They were the ones to create the content and I was doing the design and maintenance work. This project helped me realize how important it is to make sites that you don’t need to intervene all the time. WordPress gave my friends everything they needed to add and format content so my constant attention was not needed. 4. Why should business use WordPress for their sites? WordPress is a really good choice for starting a business website because it is secure, efficient and easily scalable. Security is really important for all sites and especially for the business ones, and WordPress is one of the few applications you can trust that won’t fail you. Second, you can install it on a regular shared hosting without any performance issues and then grow it with your business without having to constantly upgrade the servers that run it. Last but not least, there is a great community behind WordPress. Sure, it started as a blog platform, but now you can make everything you want with WordPress – galleries, online stores, forums, social networking sites – you name it. 5. What is your favorite part about WordCamp events? WordCamp is a great place to meet interesting people, share thoughts and have a great time. That inspires me all the time so much. When you make WordPress sites you always look at other people’s work – plugins, solutions to problems, themes, etc. It is great to be able to meet the actual people behind those things. And of course the after parties are not to be missed! 6. What are your impressions of WordCamp Sofia 2012? It was a great event with something for everyone – for devs, expert and novice WordPress users. It was a well organised event with a lot of visitors and great speakers. Loved the atmosphere and the overall feeling of the event. 7. Where do you see WordPress in the next five years? For many years WordPress is massively used for so much more than blog websites. Actually it’s one of the best CMS apps out there if not the best. I believe that now the WordPress community has accepted that and more effort will be put towards adding features to the core functionality that we now have to use plugins to achieve. As Matt Mullenweg said in this year’s “State of the Word” speech, WordPress should allow people to build their online applications on it. So I think there are a lot of interesting stuff coming in the WP world in the near future. I am happy that I had the chance to be part of this great event. I hope that there will be much more WordCamps ahead for me to visit and more interesting people to meet. Thank you, Hristo for your interview! This is the last part of the series interviews with the speakers on the WordCamp Sofia 2012. Keep tuned for more useful tips on WordPress coming soon! The next interview is with one of the women on WordCamp Sofia 2012 – Ivelina Dimova. Enjoy! I am a WordPress developer, besides this I love traveling, photography and yoga. I am passionate about new technologies and I would love to share my experience with WordCamp visitors. I started a blog few years ago and back then I din’t know anything about WordPress, but lately I fall in love with it – it is really amazing what kind of stuff you can do with this platform. My very first site was my personal blog – ivdimova.com. I have made a several changes on it since I have more WordPress knowledge. I can’t remember the first site that I have developed, but I can tell that it was much easier and elegant doing it with WordPress instead some other custom systems that I’ve used before. Because of many reasons – it is easy to maintain, there is a really great community to help you if you have some troubles and you are not in dependence of only one developer that can support your site. Also WordPress allows you to create an user friendly projects and this makes it easier to teach the clients how to update their content. Definitely the networking – so many interesting people with passion for WordPress, it is amazing experience to meet and talk to other developers, potentional WordPres users and current ones. 6. Where do you see WordPress in the next five years? I can’t preddict the future but I think that WordPress will become more and more powerful and more people will understand that this is no longer just blog platform – it is really powerful CMS with a huge potentional for growth. I am very happy that I will have the chance to speak at the anual WordCamp Sofia. Hope that my talk will be interesting and usefull for a big part of the visitors and they will enjoy the event as well. Looking forward to meet you there! Thank you, Iva for the great interview! If you have more questions for Iva, you can personally meet her on WordCamp Sofia 2012 – October 20-21. I am Svetlin Nakov. I run the Telerik Software Academy – the largest training center for software engineers in Bulgaria. It trains few thousands software engineers in .NET development, HTML5 front-end, QUality Assurance (QA) and other professions. We have built alternate education system which trains the people starting from 4-5 class at school until their entrance into their first job in the software industry. We have 500+ training videos in YouTube, 26 free courses about diferent technologies (from C#, OOP and HTML to ASP.NET, XAML and Windows 8 development, mobile and coud applications). For more information see our website. I found WordPress bask in 2005 when I had a static web site (just plain HTML + CSS + images) for one of my previous companies (the National Academy for Software Development). A friend of mine told me about WordPress and how it could be used to move my company web site into a CMS platform for easier maintenance and improved functionality. I tried WordPress and started one month-long project for moving the existing site along its structure, laoyout and content from static HTML pages to WordPress. In the next few years I found WordPress very easy to implement and I moved few other of my sites to this platform. Soon I felt with love with WordPress, its themes, plugins, etc. Generally I don’t like PHP but I feel that WordPress does outstanding job and you do not need to skow well PHP and fall into its bullshits. Yes, I remember my first WordPress site. It took a month to migrate a statc web site into WordPress. It had a deep navigation menu (4-5 levels of sub-menus) and we needed to write a recursive traversal function into my first WordPress custom theme to render it. It was really hard to write it. I had a developer who did the job but I was around her for an hour every day. Finally we were very happy of the result because even our non-technical staff was able to post news and share resources at our Web site. To be honest I think that WordPress is the best solution fow small and simple web sites. In Telerik we have strong and heavy content management system called SItefinity and it does its job well for large web portals with thousands of users, content of millions pages and posts, with build-in forums, e-commerce, forms and other modules. But when it comes to built a simple web site of 4-5 pages + news + some form I always prefer WordPress and it takes less time to use WordPress than other approaches. I think the business should use WordPress in simple scenarios like corporate web sites of few pages + news + forms and other simple functionality. I don’t think WordPress will work well for big sites like Amazon.com or sites with custom functionality like our Telerik Academy course management system. I like the WordCamps because of the people who come. I like to talk about different topics related to development, SEO, digital marketing and web technologies at these events. I want to see developers who I have not seen for years and to learn the news from the WordPress, CMS and SEO world and to be inspired by some distinguished speakers with own philosophy and way of thinking. In the next few years I see WordPress as a leading CMS system and platform for web projects. I thinks it is a must-have skill for anyone involved deeply in Web development. Everyone should have WordPress skills to call himself web developer. I think it will continue to grow and will evolve from simpel blog system into very powerful web publishing platform with well integrated content management, forums, CRM, commerce, SEO, blog, new and marketing platform. I think WordPress will slowly move from platform for small sites to a platform for large and complex portals which developers will build in minutes. I am happy that we will have again WordCamp event in Sofia. Congratulations to the organizers and the speakers. Some day even the old grandmothers and grandfathers will use WordPress to publish their content on the Web. These will be the WordCamp visitors from all over the world. WordCamps are great place to learn the latest technologies, to find friends and have a fun. Enjoy. Come at 20th October in the Sotware Academy to share the inspiration of WordPress and the modern web! Here is the next interview that I promised you. 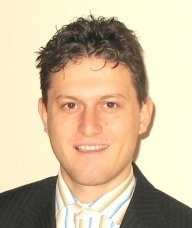 I am glad to introduce Veselin “Dzver” Nikolov – bloger and web developer. 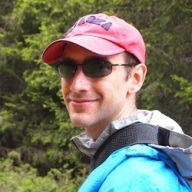 My name is Veselin and work as a developer for Automattic, the company behind WordPress.com. It was a long time ago – in 2004. A colleague of mine had a blog and he showed me. I got enthusiastic. In the beginning I wrote nonsense that only I was reading, then I found some people to read me. At this moment WordPress system was only for blogging. Gradually it evolved into a platform for developing websites. Currently a lot more people do business with WordPress, rather than just blogging. Because of all the benefits it provides and the easy access to the colossal amount of plugins and themes. With their help one can focus on the really important parts of the project, rather than reinventing the wheel. One would save time and money not only for the initial launch, but also for maintenance later. WordPress is an open source project and open source projects tend to be long-lived. I expect more people to enjoy it, but I can not be sure. There are good competing platforms, and possibly for such a long period of time there will be also a new one. Come to WordCamp – October 20, Telerik. Many thanks for the interview Veselin! 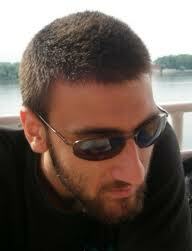 You can meet him personally on WordCamp Sofia 2012. As I promised in my previous post about the WordCamp Sofia 2012 event, I will be posting interviews with some of the speakers on the event. I am glad to present the first one – Mario Peshev. 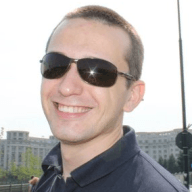 My name is Mario Peshev and I’m a WordPress engineer and consultant. I’m tweaking WordPress for a living, taking part in a number of initiatives related to WordPress theming, plugin development, multisite setup, connectivity with external APIs and platforms. Currently I’m working as a WordPress Engineer for Placester, the company behind the largest WordPress plugin for real estate websites, author of a number of WordPress themes and a generous host of a multisite instance with about 15 000 real estate websites based on the platform. I’m also doing some part-time consulting for my loyal clients in DevriX and speak about open source technologies at conferences and seminars. Back in 2006 I was working for a large company with a dozen of niche websites that was going to build a local hosted blogging platform as well. I was a LiveJournal user back then and had to research different available platforms for blogging when I first encountered the existence of WordPress. It was still immature and growing but I spent some time reading about its features and plans for the future releases. A year later I ran my first blog with external forum integration and few months later I started my current blog in Bulgarian – http://peshev.net/blog/ . Working on customizations and updates over there I was comparing the platform to my current (at the time) tools of use – Java for enterprise/desktop products and CodeIgniter/CakePHP/Drupal for small-to-med web projects. The transition was smooth and one day I woke up and realized that I’ve postponed all my non-WordPress projects, working on a theme framework for ThemeForest, being a part of the WPTRT crew for reviewing themes on WPORG and reading a major number of WP-related blogs. Besides my own blogs, I had a project for a PR agency that had to integrate external RSS feeds, post them as annotations in a single installation linking back to the original sources, enable an eventing system with a calendar on the site and a few more minor updates. My researches ended with FeedWordPress and a neat event calendar plugin, both of them required less than a week fine tuning and cosmetic updates and the site became a serious online source of data, aggregating external resources and hosting online events data. That was the red sign for me warning me to stop labeling WordPress ‘a blogging platform’ only. That’s my favorite question. Recently my main purpose is educating small companies and web studios that there is a mature, easy to use, user friendly platform with a great UX and a huge amount of plugins and themes available for their customer-oriented project. There have been thousands of companies with their custom frameworks, being rarely tested and optimized, lacking features and modifications. Customers are left with zero choice of platform conversion or changing the team as there is a single team in the world utilizing the following framework or CMS. Working with an international platform with 70 million websites out there is a great advantage of scaling projects, focusing on the important custom functionality of the project, getting extra help from contractors and expanding the work force towards a larger customer database. Nevertheless it builds trust in customers as it is open source, they could consult with their third-party contractors, change team if they feel insecure (they don’t if your work is of a higher quality, and it needs to be) and they are giving credits back to you for work that is actually not entirely yours. Networking. It’s an awesome chance to meet fellow developers/designers/administrators that are contributing back to the community. There is a chance that you’re having your morning coffee with the author of your favorite theme or plugin. Not to mention that it’s the place where you could meet partners or customers looking for serious badass WordPress professionals for any kind of project or a full-time work even. Sessions are also very helpful as they’re usually being led by consultants or experts from large corporations working on some enterprise projects and sharing experience from a scope being rarely reachable for smaller or mid-size projects. That’s hard to tell, but numbers of available websites are about to grow more and more and the share of WordPress compared to other CMS and even e-commerce platforms is going to reach a new contrast. I’m not going to abandon the platform anytime soon as there is an overwhelming interest and number of requests for building themes and plugins, customizing websites or scaling large platforms for millions of monthly unique visitors. I would be happy to see more people involved in the project. It’s a great collaborative environment with an outstanding community involved for the sake of the users – putting the best practices, usability and scalability above the business purpose. Many thanks for the interview, Mario! Hope you enjoy it too! If you have any questions for Mario, you can post your comments here or attend WordCamp Sofia 2012 and speak with him personally.